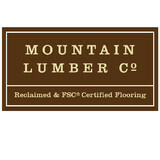 For nearly 40 years, Mountain Lumber has transformed reclaimed wood into antique floors of lasting strength and beauty. Our reclaimed and newly sawn hardwoods are available in both engineered and solid constructions for a variety of installations. We also offer custom prefinishing and hand texturing to create your dream floor. The same antique timbers and beams used to create Mountain Lumber’s reclaimed floors are also available for purchase. You can apply these beams to suit your needs – either for their handsome looks, their unbending structural support, or both! They are also popular for eye-catching mantels. Count on our team for the best in flooring. We grew out of necessity, so we know what it takes to improve any renovation project. Interior designers, rehabbers, architects, contractors, and other trade professionals needed a place to purchase quality products at affordable prices. 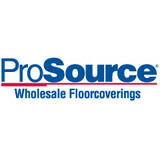 ProSource heard this call, and since 1991, we have been a leading provider for wholesale flooring in North America. The reason industry and trade professionals visit us is because of our buying power. We buy all of our products in bulk, which lowers our operating costs. We then pass those savings on to you by offering the lowest prices on name brand flooring and home improvement products. What started out as a flooring store has grown into so much more. Along with flooring, we now offer expert services for cabinets, countertops, lighting, vanities, window treatments, and decorative plumbing. All of our products are backed by our mission to help trade professionals be more successful, and to exceed the expectations of our clients while staying within their budget. Our reach is truly staggering. We know that every one of our customers has their own unique decorative style. That is why we partner with over 120 suppliers to offer you a variety of products and materials. You can find a vast selection of carpet, hardwood floors, ceramic tiles, luxury vinyl tile, and custom rugs in each of our independently owned and operated stores. Whether you’re a trade professional or a homeowner, we are committed to seeing your business flourish and creating a home you’ll love. We do what it takes to help professionals and residential owners win bids and cut costs wherever we can. Our showroom is staffed with experienced and expertly trained associates who are knowledgeable about residential and commercial services. 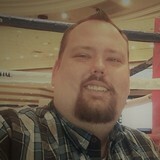 When you shop with us, you are also assigned an account manager who is committed to the success of your project. He or she is your single point of contact and offers the guidance you need throughout every step of the process. Our company is proud to offer superior customer service and professionalism from the beginning of your project until its very end. Contact us for more information how our wholesales floors can save you money. We proudly serve the residents of Richmond, Mechanicsville, Henrico, Chesterfield, and Glen Allen, Virginia. Zac Sweet Hardwood Floors Inc.
Zac Sweet Hardwood Floors, Inc.
Our custom techniques include refinishing your hardwood floors so that they have a luster and shine that is pleasing to the eye. The usual dust and dirt, which can be stirred up during the sanding process, is eliminated with our chemical treatment. The end result is a finish that comes out as smooth as glass, without the mess and hassle of traditional sanding. Instead, you get a wonderful floor treatment that can take the wear and tear out of your hardwood flooring and leave it looking brand new. Our sand free process is just what you have been looking for if you have been considering refinishing your hardwood floors in Richmond. Please inquire about custom floor designs as our craftsmen love doing custom work with different wood species and designs. Floor Installation In Virginia - Floors are an investment that will last a life time with the proper installation and care. Our expert installers are competent professionals that make sure every floor they install is correctly completed and answer any questions the customer has. Because of our outstanding service and commitment we have been a BBB Accredited Business since 2008. You will find below the different types of floors Davis and Associates installs. *Authorized Armstrong Dealer* Great carpeting can make a big difference in a room. Carpeting has the ability to turn a home into a comfortable, relaxing place to live. In fact, your whole home can be transformed with the right kind of flooring. This is why your Carpet One in Midlothian, Virginia offers such a variety of top-quality choices when it comes to flooring. At Carpet One, we take pride in our ability to provide the very best selection of carpet, hardwood, ceramic tile, luxury vinyl, and laminate flooring. Your Carpet One in Midlothian knows it's important to choose the perfect flooring for your home. We are home to sales professionals who are specially trained with the expertise to pick the perfect flooring for you from our wide selection. Our sales professionals will work with you to choose the flooring material and style that's best for the conditions in your home. There is a large number of materials and styles to choose from, plus many different brands, including several top-quality flooring brands that are available only at Carpet One. From stain resistance to odor protection, our Midlothian flooring ensures that every need is met. And Midlothian Carpet One is always an affordable solution when it comes to stylish, quality carpeting and flooring. We also have multiple levels of increasing protection in our easy-to-understand SelectAFloor™ warranty system, so you can protect your Midlothian floors. Carpet One also goes above and beyond to ensure that your carpet is installed by the best. Expertise is a big part of Carpet One Floor and Home, and that includes flooring installation. Want to explore all of our flooring options? With selections of hardwood, laminate, vinyl, carpet, and ceramic tile flooring at great prices, Carpet One is here to help with whatever flooring changes you need. For additional information about the ways that Carpet One can improve your Midlothian home’s flooring, contact a sales professional at a Carpet One store nearest you. Carpet One has the best in Midlothian carpeting and flooring! Come in to a store near you today and see for yourself. We are a premier, one-stop provider of high-quality floor coverings. We operate with the highest integrity while providing a rewarding quality of life for our employees and a fair return for our customers, employees, owners and suppliers. We’ve been helping Richmond-area homeowners select and install new floors for more than 65 years. Buff & Coat provides expert hardwood floor refinishing service throughout the Richmond metro area, including Chesterfield, Midlothian, Glen Allen, Short Pump, and Mechanicsville. For floors that have lost their shine from everyday wear and tear, our dust- and odor-free service can beautify and protect your floors in a single day. If your floors suffer from deep stains, scratches, and other damage, we’re also experts in sanding, staining, sealing, and restoration. We can restore your hardwood flooring to its original, lustrous beauty – call for a free estimate! Premier Flooring of Virginia, Inc.
Ceiling & Floor Shop's extensive products include a comprehensive assortment of carpet, wood, cork & bamboo flooring, ceramic & porcelain tile and stone, window treatments, ceiling and wall materials and resilient flooring. We offer green options in all of these categories, custom work, and design assistance. Our professional design and installation services are praised by our commercial and residential customers all over Central Virginia. Our experienced team is ready for your job, large or small. Flooring RVA is a locally owned and operated full service flooring & carpet company serving the entire Central Virginia area. With over 17 years of industry experience Flooring RVA has the qualifications to get your project completed the first time. Communication is key to us building repeat clients so we making keeping in touch with us easy. When you are ready discuss all the details of your project, we'll meet you on site to discuss details, and for your selections, you can come to our new showroom, or we will bring our showroom to you! Use our on-line form to schedule the in-home consultation. Our team of flooring experts will assist you in the selections of flooring & carpet, measure, estimate, consult & schedule our professional installation crews on the day of your choice and follow up to ensure you are satisfied. 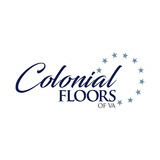 Flooring RVA considers ourselves at the "Flooring & Carpet Concierges" of our industry. 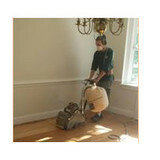 Concierges are known for handling everything for you & that is exactly our focus here at Flooring RVA. Floor Trader of Richmond is a locally owned flooring store in RVA. We have three locations located in Mechanicsville, West End, and Midlothian. Our customer service, great prices, and in-stock buying power really set us apart from other flooring stores. We are open seven days a week; come see us! Jeter’s Carpet & Flooring has serviced the Richmond area since 1968. We are one of the oldest and most trusted names in flooring. Our services are customized to your needs with personally attentive staff and experienced installers. Our knowledgeable consultants assist you with selecting the most suitable flooring for your lifestyle. Our showroom has a vast selection of flooring, featuring styles from classic to modern to exotic. We carry solid and patterned area rugs, as well as carpet and vinyl remnants at warehouse direct prices for immediate needs and quick installations. Come see the newest carpet styles, trends in hardwood and tiles, and easier-than-ever to maintain vinyl. What kinds of services do hardwood flooring installation professionals in Maidens, VA provide? Find hardwood floor experts in Maidens, VA on Houzz. Search the Professionals section for Maidens, VA hardwood flooring installers and dealers or browse Maidens, VA photos of completed installations and look for the professional’s contact information.